Ed Catmur has won this year’s Nopesport Urban League, taking the Men’s Open prize after several top three finishes in the series, despite not winning any of the races. 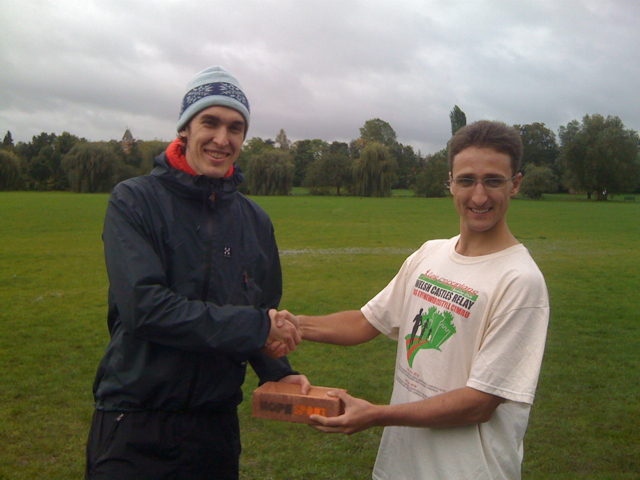 Ed was presented with the series prize, an engraved London brick, by Brooner, also of SLOW and the series coordinator, at the series finale today on Warwick. Other SLOW results included Ollie O’Brien who finished in third place on Men’s Open, and Jayne Sales recorded a top 10 finish on Women’s Open.